Inertial Separators are the simplest type of Dust Collector. This design depends on slowing down the air flow through the collector such that the air velocity is not sufficient to hold the dust particles in suspension and the particles fall into a collection hopper. 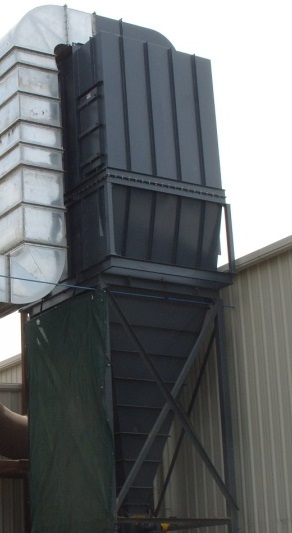 Inertial Separators are often referred to in the pollution control industry as a "Drop Out Box". A Drop Out Box works by having the dirty air enter the inlet of the collector and reacts with an internal air baffle that causes the dirty air to take a downward direction. This abrupt downturn is immediately followed by a 180° upturn that generates immense gravitational and inertial forces that drive the particles toward the collection hopper. On processes ventilating hot airstreams, the inertial collector will remove large sized hot particles that are not cooled by the process gas. Also, this type of collector design has limited applications as a Spark Trap since sparks often have buoyancy and are not greatly affected by gravity or inertial forces. A common application of a Drop Out Box is as a pre-filter before a Baghouse or Cartridge Dust Collector. The Drop Out Box will remove the larger and heavier particles from the air stream before reaching the more efficient filter collectors. 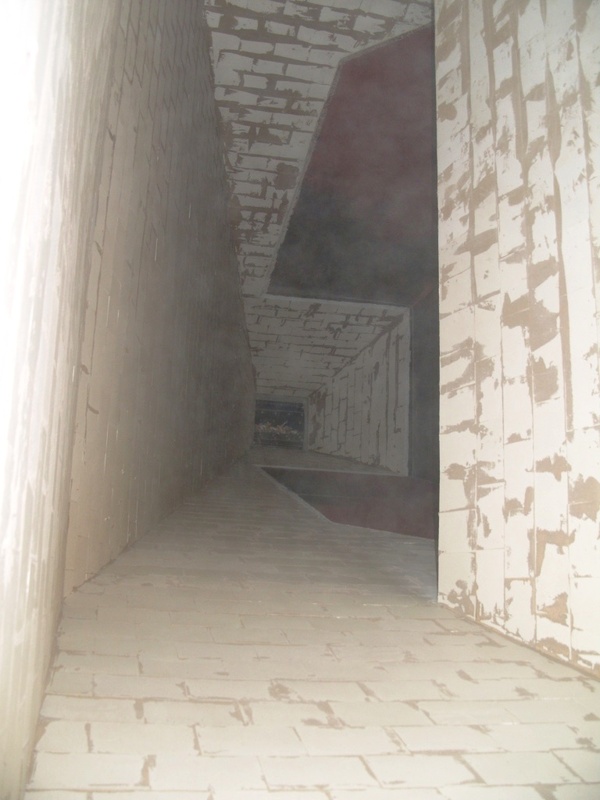 This method protects the filters from possible abrasion issues and reduces the dust load on the dust collector allowing for a longer filter life. Whether your dust is abrasive, hot, bulky, or all of these, we have the experience and capability to design a custom Drop Out Box to match your dust. Our Drop Out Boxes can be customized to include ceramic tile, insulation with weather-tight cladding, and special internal baffles.